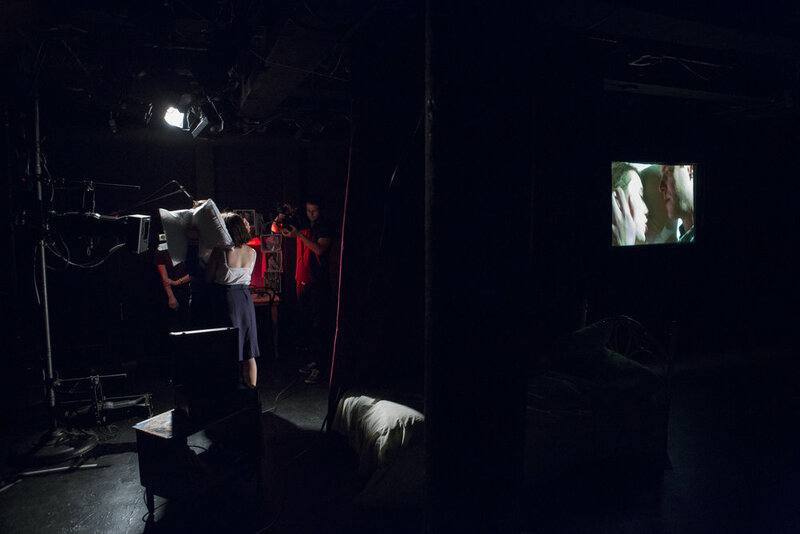 Inspired by the French New Wave, You Can't Kiss a Movie depicts a cameraman, a PA, and a pair of actors creating an original New Wave film that is simultaneously projected live on a screen, allowing the audience to witness both the completed film and the behind-the- scenes process. EXCERPT: DUBBING SEQUENCE. The actors dub their dialogue and vocals for a snowy goodbye scene filmed on location at a train station. EXCERPT: DEATH SCENE. The leading lady doesn't want to die. Walt Whitman BodyJolt™ is a play that takes the form of a participatory exercise class led by Walt Whitman himself, the esteemed poet and, now, the creator of a new fitness regimen designed specifically for Americans seeking an intense physical, intellectual, and moral workout. Inspired by a series of self-help articles called “Manly Health and Training” written by Whitman in 1858 and unearthed in 2016, the play encourages audience members to follow Whitman as he attempts to mold them into his ideal American -- vigorous, manly, and with a fervent love of fight. Walt’s obsession with this narrow, archetypal idea of American-ness poses problems for his assistant instructors, who seek to create a democratic experience with space for all attendees, regardless of race, class, gender expression, age, disability, or amount of physical stamina. In fact, they are attempting to ensure the exercise class realizes the vision of America Walt describes in his famous poems. Caught between these competing ideas, Walt and the audience must confront their own bodily insecurities and the role that personal health plays in the shaping of national character. Above all, WWBJ is a sweaty, exuberant adventure open for beginners, intermediates and experts to come and TRAIN: as individuals, as citizens, as Americans. In order to survive the post-truth era, AUTOPORTRAIT imagines what it would look like if we learned to float between truth and fiction as well as our enemies do — if we learned to deploy our own narratives for the greater good. 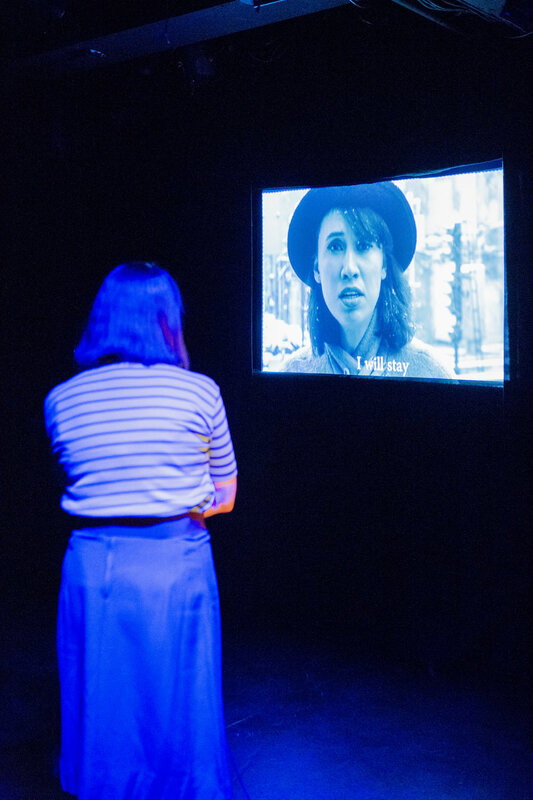 The play weaves together unlikely portraits of drag queens, government officials, and East Village performance artists all trapped within a closed loop of lies and narrow thinking, eager to rebel. Beyond this destructive path is an alternative — not one of ‘alternative facts,’ but of the sublime, queer beauty of choice. AUTOPORTRAIT looks to a new era of creative expression and individual power just beyond the horizon. 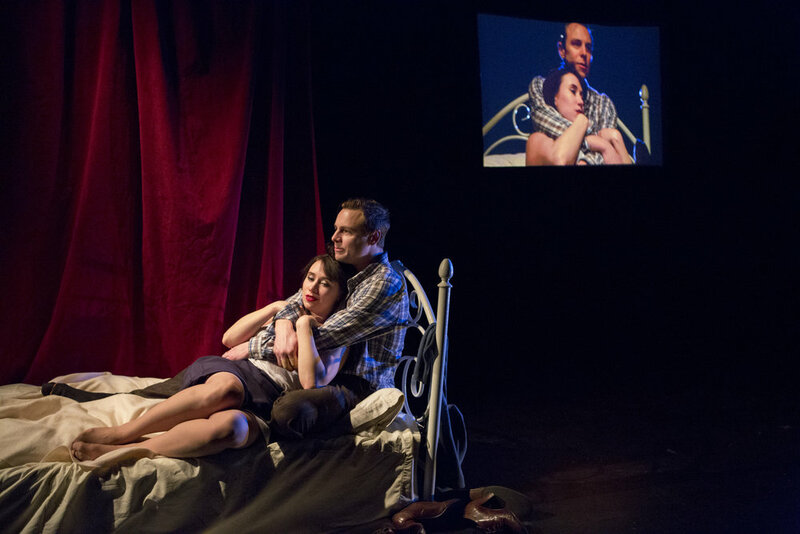 AUTOPORTRAIT had a one-night production in Dixon Place's 2017 HOT! Festival. It was developed with support from the inaugural Leslie-Lohman Museum Space Grant. Condoleezza Rice is mad as hell and she's not going to take this anymore. Inspired by testimonies given before the 9/11 Commission. Irondale Center, March 2017. Featuring Gabby Beans, Patrick Brady, Matthew Luke Meyer, and Addison Williams. An emotionally-charged song cycle that shares gripping stories about youth incarceration -- first as personal narratives presented by people directly affected by the issue, and then as original songs adapted from the stories themselves. This was a special collaboration between the talented The Songwriter's Orchestra and Herstory Writers Workshop, an organization that helps incarcerated people write down their stories. Poignant but ultimately empowering, Chains Don’t Rattle Themselves sought to break through barriers of judgment and mobilize audiences to take direct action supporting the Raise The Age NY campaign for youth criminal justice reform in New York State.